Ever wish you could be in one of those long, low boats zooming around False Creek? Well now you can! UNYA’s Aboriginal Youth First Sports & Rec crew will be learning to paddle and race a dragon boat this spring and summer! We’ll be paddling every Thursday from April 11 until June 20, and interested Indigenous youth ages 11 to 24 are invited to come out and join us. Don’t worry if you’ve never seen a dragon boat or picked up a paddle before – we’ll all be learning together. We’ll be having fun and learning as we go. If it doesn’t click right away, don’t worry: learning how to dragon boat takes time. It’ll take a bit of practice until you feel like “you get it”. Keep at it, and by the end of the summer, you’ll be just as confident as anyone else out on the water! When: Thursdays, April 11 to June 20, 2019. Meet at 4:30 pm. Where: Meet at the UNYA dojo. We’ll head down to the Creekside Community Centre together. Come out for Dragon Boating in False Creek with AYF Sports & Rec. Where do we meet? Meet us at the UNYA dojo. We’ll take transit down to False Creek together. Bus tickets are provided. If you’d rather meet us down there, head to the Creekside Community Centre. Go to the Sea Wall side of the Centre, close to the main entrance. If you don’t know who to look for, just ask around for Concord. When is it? We meet every Thursday from April 11 to June 20, 2019. If you’re meeting us at the UNYA dojo, be here by 4:30 pm. If you’re meeting us at the Creekside Community Centre, meet us there at 5:45 pm. Our boat is reserved for 1.5 hours… make sure to be on time so that we get in as much practice as possible! What should I wear? Wear layers. Dragon Boating is a lot more fun if you’re not too cold or too hot. Bring a sweater, and of you have a water-resistant/proof jacket or pants, they’ll come in handy too. Bring a toque or hat. They’re easy to help regulate your temperature. Too hot? Take it off. Too cold? Put it back on. Old runners. Your feet will get a bit wet, so don’t wear your nicest shoes. You’ll probably want to wear them without socks. If you wear socks, bring an extra pair! It’s not fun to go home with wet cold feet. Will my phone get wet? There’ll be a dry bag for all of our valuables like phones, wallets, and keys. The dry bag will be with us in the boat, so your valuables will be safe. It’s best not to leave valuables in the lockers at Creekside. Where can I put my stuff? The west side wing at Creekside Community Centre is for paddle sports. Creekside has lockers, change rooms, and showers. Make sure to bring your own lock (or ask AYF staff for one that you can use). Letting us know that you’re coming is helpful… but if you decide to come at the last minute, you can just show up and join us. Make sure you have signed a waiver, given Nikki or James at AYF Sports & Rec your emergency contact info, and let us know if you have any health conditions that may impact physical activities. Did I hear something about a race? June 8th: This is our first race! It is the 500m Regatta. 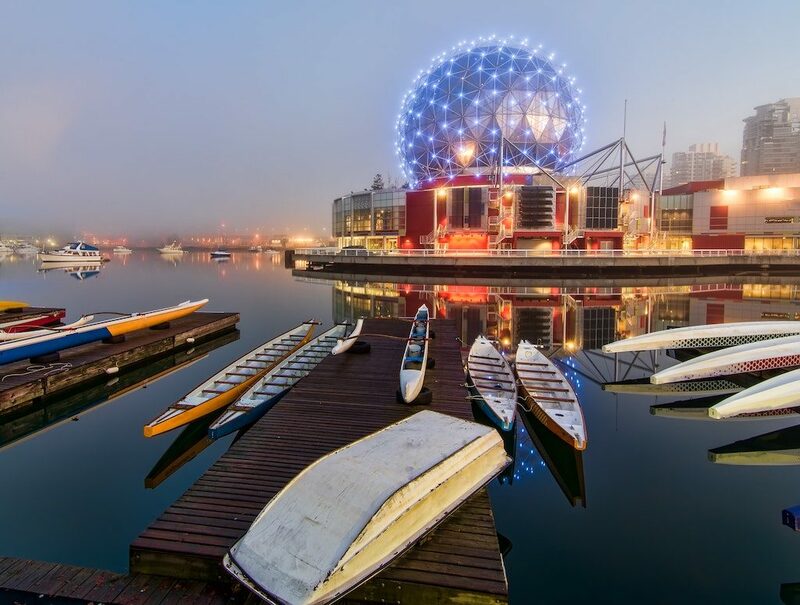 June 22nd & 23rd: This is the big race, the Concord Pacific Vancouver Dragon Boat Festival. Three days of music, activities, and world class racing. It’s a busy, fun weekend, with teams visiting from around the world. We’d love to answer them if we can.